The Dominican Province of St. Joseph is happy to announce the men who have been accepted for our 2018 Novitiate Class. They will be clothed with the Dominican habit on 8 August 2018 in a private ceremony in St. Gertrude Priory in Madeira, Ohio. Immediately after they will attend the parish’s celebration for the Solemnity of our holy father, Saint Dominic at the 11:30AM Mass in St. Gertrude Church – all are welcome. Men considering a vocation should read HERE and submit their personal info where it asks to keep in touch with the vocation director. 2018 SUMMER VOCATION GATHERINGS: All young men 18-34 are invited to the following vocation events (must RSVP): 10 July 2018 3-9:30PM NYC Vocation event at St. Vincent Ferrer Church and Priory & 9 August 2018 3-9:30PM OH Vocation event at St. Gertrude Church & Priory (with opportunity to meet our novices). WE EXPECT THE NEW VOCATION DIRECTOR TO BE PRESENT AT THESE EVENTS! Please pray for the following men as they prepare to enter Dominican life to consecrate themselves in radical way to Jesus Christ in the way of St. Dominic! I was raised in Norwood, Massachusetts as the oldest of two boys. We grew up Catholic, and attended our local parochial school, St. Catherine of Siena, and it was in first grade that I first mentioned wanting to be a priest. However, on the same assignment I also said that I wanted to be a professional baseball player, and to serve in the military. During my time in high school, I unfortunately found myself without the skills to make it to the Major Leagues, but still felt a strong pull towards serving in the United States Army, which was seemingly at odds with my budding love of Theology. It was with these desires that I found myself drawn towards Providence College, where I began to study theology under the tutelage of the Dominicans, while also participating in the Army ROTC program. During my sophomore year, I found out that I wouldn’t be able to continue with the ROTC program, and suddenly found myself adrift, as the direction I had been heading in for most of my life was no longer open to me. Less than a week later, one of my best friends brought up the idea of the priesthood, and for the first time in my life, I began to seriously discern if God was calling me to the Priesthood. Over the next few years, as I continued to study Theology, and later Philosophy with the Friars, I found myself falling deeper and deeper in love with the Dominican lifestyle and charisms. In particular, the call “to contemplate and to share with others the fruits of one’s contemplation” resonated deeply in my heart. Beyond this, my first hand witness of the Dominican common life led me to recognize that it was my God given desire for fraternity which had led me towards the Army, so as to open up my heart to the idea of the Religious Life. However, even with this knowledge, I still wasn’t quite ready to apply during my senior year, and found a job as a Director of Faith Formation within the Archdiocese of Boston. It was during this time, as I began to work within a parish setting, preparing the teens for Confirmation, leading Bible Studies, and teaching the RCIA program, that I felt God was calling me to apply. Please pray for me and my brothers as we seek to devote our lives to serving God and His Church as sons of Holy Father St. Dominic, spreading the message of the Gospel through our faithful witness and preaching. UPDATE: Robby was able to raise money to alleviate his academic loans via the Laboure Society: https://labouresociety.org/robert-degre. As a child growing up in Northern Virginia, I had dreamt of being a fireman, then a baseball player, and when I got a little older I wanted to have a big family and an engineering career helping kids like my sister overcome cardiac deformities. It took nearly thirty years for me to accept that God had other plans. I was born into a devoutly Catholic family, the progeny of a cradle Catholic mother and a father who converted from Protestantism. Despite a strong Catholic upbringing including Catholic elementary and high schools, college brought many temptations and was the vehicle I used to walk away from a meaningful practice of my faith. After graduating college and working for a few years I thought I had the life: great friends, working on a professional sports circuit, traveling the world…I had everything I ever wanted except one thing: peace in my heart. It was in this frame of mind when, by the grace of God, I had an impactful reversion experience and after much procrastination and anxiety, I walked into the confessional, spilled my soul to the priest, and felt the illimitable mercy of God flood into my life. The response was intense: I couldn’t read enough, adore enough, or listen to enough Catholic resources to satiate my love for Jesus Christ and his Blessed Mother. Even though the thought of pursuing a vocation to the religious life had previously occurred to me, it was easy to dismiss with the cacophony of distractions I still had around me. Not until I was living in Europe for the second time and experiencing a series of spiritual exercises at a small, conventual church did I find myself willing to relent to the guidance of the Holy Spirit. In an ethereal and lucid meditation, I vividly experienced the personal love of God as he invited me to feed His sheep. It was so tangible that I couldn’t stop thinking about it, even on pilgrimage to the Holy Land six months later. When I returned from that trip, sitting at Mass on Shrove Tuesday in spiritual euphoria listening to the Gospel words of Mark 10, I recalled that message and could only surmise that if I truly wanted to follow Christ, I had only one choice. God had laid out a clear path before me that I had to pursue in earnest, a path that was contemplative in its foundation, but lived out in the world and not of it. As I explored a vocation to the Order of Preachers it became clear that the spirituality which Christ was nourishing in my soul was a reflection of Dominican spirituality. So here, along with my fellow brothers in Christ, we find ourselves diving into God’s arms in complete abandon. As He did when He shared in our humanity at the Nativity, so do we begin a new journey, embracing God’s call to labor for the salvation of souls, entrusted to the Blessed Mother, in the spirit of Saint Dominic and, through joyfully living out our vocations, bringing Christ to the world around us. I was born in southeastern Poland and grew up a practicing Catholic. When I was 12 my parents brought my younger sister and me to the United States and we settled in New Jersey. I did not believe in all of the Church’s teachings until the second semester of my sophomore year at Rutgers University, where I studied Chemistry and Economics. At Rutgers I met a group of Christians of Central Jersey Church of Christ who invited me to attend their campus Bible study. Within a few weeks I had experienced a conversion and knew I would never be the same again. Suddenly the Church’s teachings became real for me and I knew I had to follow them, realizing my Lord Jesus Christ would not have shed His Blood in vain for my sins. I knew my life had to change. The same people who brought me closer to Christ were simultaneously trying to lure me away from the Catholic Church. Their biggest issue was the Church’s teaching on infant Baptism. One of my Rutgers University Catholic chaplains, Bro. Ken Apuzzo, B.H., allowed me to understand the Church’s teaching and I found many other answers to questions I had at the time. I grew in knowledge and love of the Faith and I strove for holiness under the faithful guidance of the Brothers of Hope. An intellectual grasp of our Catholic Faith continued to spark a deeper conversion and I realized the Lord was calling me to the the priesthood. A couple of years later, I learned about the Dominicans on EWTN while watching a TV series, “Religious Orders of Men.” The story of St. Dominic founding an order of friars, who were sent to study at universities and then to preach the Word of God in order to combat the Albigensian heresy was something I could very much identify with given my personal history and conversion. I saw my own desire to study and preach God’s Word in order to bring joy and salvation to other people very much in line with what St. Dominic and other early members of the Order of Preachers were doing. Two years later, I reached out to Fr. Benedict Croell, O.P. and was then introduced to the Province of St. Joseph by visiting Dominican priories, including the Dominican House of Studies in Washington DC. For the next 6 years until now I have taken steps under the guidance of Fr. Benedict and my spiritual director, Fr. Peter Cebulka, C.O. while working full-time. I am excited to have been accepted to the 2018 novitiate class. I look back on these past few years and I believe that even though it has been quite a lengthy period of discernment, God has been faithful to me. I now have the opportunity to begin this wonderful journey. I ask your prayers for my classmates and me as we begin this next step in our discernment. Please ask the Blessed Mother to pray for us so that we may fulfill the will of the Father in our lives! “Nope. Definitely not.” Those were the words that passed through my mind the first time I saw the Dominican House of Studies. Born and raised in the Chicagoland area, I grew up in a Catholic home with both parents practicing the faith. I’m the third oldest of four children, and over time my parents adopted five more kids. I was abundantly blessed growing up with a devout mother and father, wonderful siblings, and every knick-knack a young boy could ask for. But, notwithstanding my parents’ love and their colossal efforts to raise me in the Faith, I remained agnostic through my teenage years and early twenties. Up through college, my only concerns were skateboarding, hanging out with friends, playing guitar, preparing for a career, and doing everything I could to experience all that life had to offer. After obtaining my degree and landing my first job in Chicago, I realized I had all of the friends, family, and amenities I could have wanted. Then one night as I was going to sleep, something troubling dawned on me – I was still unhappy. That shook me to the core, and I couldn’t see how that possibly could have happened. No matter what I did thereafter, I couldn’t rid myself of that unwanted epiphany. Skipping ahead a bit, over the course of the next few years I came to the understanding that God exists, that the Catholic Church was the Church that Christ established, and that I might have a calling to be a priest. I discerned with the Province of St. Joseph, and in July 2015 I entered the novitiate at St. Gertrude Parish. Life with the Dominicans was wonderful. I loved praying the Office, spending time with parishioners, growing closer to my brothers, and ministering to those in need. What began to trouble me, though, was the understanding that I wasn’t ready, that a further deepening of my faith and a greater degree of personal growth was necessary before professing vows. With guidance, support, and prayers from my spiritual director, I gave back my habit and returned home. After leaving the novitiate, life for a while was confusing and painful. I was lost, and my world seemed to unravel before my eyes. Through it all, though, Mary helped deepen in my heart certain basic, foundational truths of the faith. Truths such as God is always with us, that He cares for us, He provides for us, He fills us with never-ending strength, and His boundless love for us leaves Him almost helpless to welcome us back if we fall. I was born and raised in the suburbs of Philadelphia, the youngest of three children. I was a regular Mass goer growing up with my family, and from that foundation I began personally to take faith more seriously in high school, especially through my involvement in a Bible study and discussion group in my senior year. After high school, I attended Dartmouth College, where I met the Dominican Order; two Dominican priests ran the campus ministry. Through the Dominican presence at Dartmouth and my involvement in the campus ministry, Jesus drew me closer to Him and I also developed a love and respect for the Order: its charism, its way of life, its devotion to the intellectual life and to the truth of the faith, and the friars who composed the province. At the time, I thought about the priesthood, the religious life, and the possibility of joining the Dominican Order, but I wasn’t ready to explore it more deeply and after college I moved to DC to work as a staff writer at a magazine. My years in DC have been a time of growth in my spiritual life. The Lord was very generous with me and gave me many graces. I eventually wound up living near a great parish, St. Peter’s on Capitol Hill, which offers regular adoration and has a solid Catholic community. I also started to go to regular spiritual direction with a Dominican, Fr. Jacob Restrick, OP, and found his direction and guidance invaluable. Three years after moving to DC, I took a position working at the Dominican House of Studies, helping to launch the Thomistic Institute’s Campus Chapters Program. Being in the DHS gave me a better glimpse of the life there; I was able to experience some of the prayer and study that the community engages in as well as interact with the friars in residence. The thought of entering religious life never really went away during my time in DC, and throughout my two years working at the DHS I explored this in prayer and spiritual direction. At first I looked at the possibility of a more monastic form of life in a different religious order, but my attraction to the charism of preaching and study characteristic of the Dominican Order and my admiration for the deeply fruitful evangelical and pastoral work of the Province of St. Joseph confirmed in me a desire to apply. Please pray for me and the others in the novitiate class; we will be praying for you! I was raised in a small town outside of Lake Charles, LA and I am the 4th of 6 children. I was brought up in a very faithful Catholic family. Mass together on Sundays, growth in virtue and prayer were a few of the things that my family strived for. My parents did a good job of instilling in me the values that they themselves held and it is to this upbringing that I attribute the strong foundation in faith that has kept me anchored in life. My discernment story is one of slow revelation over a period of many years. I first had an attraction to the priesthood when I got involved in youth ministry in high school but it was mostly a question posed by my head rather than a pull on my heart. But the desire grew when I lived in a discernment house during my second year in college. It was here that the attraction became one of what the priest did, namely the sacraments. This attraction by this point was strong enough that I began the application for seminary. The next year I entered the seminary for our diocese and I began to be immersed in the deep intellectual traditions of the faith. Seminary was a good time of growth in my life but I eventually discerned that my calling was not to diocesan priesthood and left. I then finished out my degree at McNeese State University and after a year of working I joined the Fellowship of Catholic University Students (FOCUS) as a Campus Missionary. It was during this time in my life that I really began to have a lot of clarity about my vocation. My time in FOCUS gave me a heart for mission and a greater intimacy with Christ that informs my every action. Working in FOCUS required me to give what I did not possess and it was through my inability to give the amount of love that people were looking for that I was able to depend on Christ. This dependency on Christ drew me close to Him and it was in that relationship that I began to see clearly who God made me to be. It was in this time that my desire for the priesthood became an attraction to the sacrificial love that Christ possessed and which is a part of the priestly identity. I began to desire to give of myself for the salvation of others. It was also during this time that I encountered the Dominicans. Ironically enough I was born on St. Dominic’s feast day but had never considered the Dominican Order as a possibility up to this point. I found the Order online while I was looking into a couple of other religious orders. After having a lot of clarity in prayer I decided to make a Come and See at the Dominican House of Studies. While there I found a place and people who exemplified what I was seeking. The communal life, intellectual pursuits, contemplative life and the preaching for the salvation of souls were all things I felt deeply attracted to. After visiting a few more of the parishes in the province I became more peaceful and convinced that this may be where God is calling me and decided to proceed with the application to enter. I look forward to the coming year as I continue to discern God’s will for my life and I ask that you pray for me and all the other men who will be entering along side me. I was born in San Antonio, TX, the younger of two sons. Not raised Catholic, religion played only a muted role in my upbringing, as my parents rarely practiced or taught any faith. So, I passed from youth to adolescence without but the faintest sentiments of belief, and these were easily cast aside when met with modernism and immorality in high school. This changed drastically while attending Carnegie Mellon University. At the invitation of a friend I attended a Mass in Pittsburgh, leaving captivated by the liturgy and with an inexplicable desire to learn about the Church. At this I was cast into a world unknown and beautiful; I was drawn both to the intellectual tradition of the Church and the Mysteries of Faith. I had never known a religion could be so reasonable, without contradiction, and yet so transcendent and sublime in its teachings on God and the sacrifice of Our Lord upon His Cross. Aided greatly by the priests of the Pittsburgh Oratory, little time passed before becoming convinced of Catholic truth and being received into the Church on Easter of 2014. The time after my conversion, which happened the second of my five years in college, was marked by slow and painful growth. By God’s grace I began to cleave myself from so many of the habits and desires that kept me from Him. I also learned, in a very intimate way through the writings of St. Augustine of Hippo, to live as a devoted Catholic and prioritize union with God and the interior life. It was during this time, near the end of my studies, that I became convinced of a vocation to religious life and the priesthood that I could not ignore. I became interested in the Dominicans at the suggestion of my spiritual director, and soon began visiting the friars when. After visiting the novices at St. Gertrude’s in Cincinnati, I became enthralled by the Order. I began learning about St. Dominic, the Order’s history, and to read the works of other Dominicans such as St. Catherine of Siena. I found in them the perfection of how I had already begun to live- I desired so greatly their life of preaching, of study and contemplation, their special devotion to the Blessed Mother, to speak only with God or of God. With this, I knew I was being called to enter the Order of Preachers. Please, pray to St. Dominic and Our Holy and Immaculate Mother for me and my future brothers. I was born in Syracuse, New York to two loving parents and was raised in Lyncourt, just outside of Syracuse, along with my younger sister. A Catholic since birth, attending Sunday Mass, saying grace before meals, and religious education were an integral part our family life and when I was beginning third grade my parents made the decision to transfer my sister and I from the local public school to our parish’s Catholic school. At the parish school I was encouraged to become an altar server and it was during the course of serving my first Holy Thursday Mass when I was in fourth grade that the thought of a vocation to the priesthood first entered my mind. I would not pay much attention to this, however, until much later in high school. I was first introduced to the Dominicans as an Order through St. Thomas Aquinas, whose hymns and writings would have a great influence on me during junior and senior high school and for which reason I would eventually choose Thomas as my confirmation name. During my senior year I began to seriously discern a vocation to the diocesan priesthood and eventually, after spending two years studying physics at a local Jesuit college, I was accepted as a seminarian for the Diocese of Syracuse. I then spent the next three years as a seminarian at Theological College in Washington, DC during which time I also studied philosophy at the Catholic University of America. It was during this time that I also came into contact with the Dominican friars of the Province of St. Joseph, whose house of studies is located right next door to Theological College, and was able to get to know some of the friars with whom I had classes. My time in seminary, in addition to being one of intellectual formation, was also a time of spiritual growth. And so eventually, by the grace of the Holy Spirit and through the guidance of my spiritual director, I came to discern a vocation to the religious life and a desire to grow in conformity to Christ through a life more devoted to contemplation and common prayer. Living next door to the Dominican House of Studies also had a deep effect on my discernment as I was greatly impressed by the friars celebration of the office and fraternal life. Thus, after completing my studies in philosophy, I left formation as a diocesan seminarian in order to further discern this call. After spending some time discerning a monastic vocation at a Benedictine abbey, it became clear that my vocation was not to the purely contemplative life of a monk but to a life rooted in contemplation and the fraternal life but ordered to serving God through the preaching of His Word. I am greatly looking forward to beginning this new chapter of my life with my fellow brothers in Christ and ask you to please pray for us, that, through the intercession of the Blessed Virgin Mary and Holy Father Dominic, we may continue to grow in conformity to Christ. I was raised in Crowley, a small farming town near Lafayette, as the youngest of four children. With Catholicism being prevalent in the culture of Louisiana, my Catholic faith was always a part of my life. I went to Catholic school from kindergarten through high school, and so the foundation for a strong faith was always there. However, this prevalence was also an opportunity for many to take the Catholic faith for granted, and my family was definitely not exempt from such an experience. We would go to Mass most Sundays, but we felt no strong obligation to do so, and much less did we see the great importance and the gift of going to Mass. The sacramental life was seriously lacking, and my devotion to prayer was limited to pleading for help when life’s difficult moments would arise. However, there was always a dormant desire for an intimate relationship with Christ and his Church, and it was not until my senior-year of high school that this desire was awoken. God’s providence led me to several retreats throughout high school, and these retreats were the occasions for the seeds of God’s grace to be planted. The sacraments became an integral part of my life, especially the Sacrament of Reconciliation and the Eucharist. A desire for intimate prayer with our Lord began to grow, and I was inspired by the lives of the saints who wrote so beautifully of their own experiences of prayer and the sacraments. When this quasi-conversion experience took place, I was coming to the end of my high-school career and, of course, this meant that the rest of my life was before me. I was faced with a serious choice of reconsidering my priorities, and, considering this life of prayer and the sacraments, I suddenly found myself asking “Is this what it feels like to be a priest?” Having never considered such a possibility before, I quickly disregarded such thoughts and wanted to continue with my own plans. Of course, this effort was futile, and I could not shake the thought of redirecting my entire life to Christ and his Church. I turned to the advice of friends and priests, and eventually found myself attending a retreat at a seminary in Louisiana. After much prayer, I decided to enter into priestly formation for diocesan priesthood, and I entered the seminary after graduating high-school. My time in seminary was a great opportunity to further foster a life of the sacraments, a life of prayer, and especially a devotion to Our Lady. I am grateful for the incredible ways that I have grown during my time in the seminary, and it was also during that time that I seriously began to consider a vocation to religious life. Once again, God’s providence was at work, and I was asked by my diocese to pursue further philosophical studies at The Catholic University of America in Washington, DC. Living right next door to the Dominican House of Studies, my attraction to religious life was piqued. In the Order of Preachers, I found a beautiful way of life that was directed towards greater conformity to Christ and intimacy with him, and all of this was done for the sake of preaching for the salvation of souls. This beautiful balance of contemplation and the apostolic life seemed to be the answer to everything that I desired in a vocation. All the gifts that God had given me and every experience to which he has led me seemed to be directed toward a life as a son of St. Dominic. I took my time at CUA as an opportunity to further discern, and the rest is history! I am beyond words for how excited I am for this next step in God’s plan for my life, and I implore the prayers of God’s faithful for myself and my classmates. During my sophomore year of college, God used a Catholic college outreach organization, called Saint Paul’s Outreach, to capture my heart so that the abstract truth that Man is made for God became more real and personal. As a result, the whole trajectory of my life shifted. Through several powerful encounters with Jesus in prayer during retreats, I first received the call to become a priest, and later felt drawn to religious life. Even at a time when I did not properly appreciate the beauty of a religious vocation, God gently but irresistibly tugged me towards such a life, and ultimately closer to Himself. Throughout the rest of college, God continued to reinforce my conviction to be a religious priest, but I still struggled to trust in the Lord’s call and in His providence. God’s patience has no bounds, however, and He led me right to where I needed to be after graduating from Hillsdale in 2017. This place was Columbus, Ohio, home to the Dominican Friars’ St. Patrick’s church and priory. While working as a Pre-K teacher and applying to medical schools, I began frequently attending St. Patrick’s, captivated by the beauty of the liturgy, the intellectual rigor of the Dominican sermons, the charity and humility of the priests, and the devotion of the lay people. It quickly became a home for me in which I was spiritually enriched, and caused me to become seriously interested in the Dominican Order of the St. Joseph Province. At the encouragement of the vocations director, Father Benedict Croell, OP, I decided to visit the Novitiate in December. This visit was the turning point in my vocation: the beautiful experience of prayer and community in the Novitiate established the Dominican life as a dream for me to seek after. God’s patience had won out, and I began applying to the Order with earnest. After learning more about the Order and how fitting a home it would be for me, I officially chose joining the Order over medical school on February 13th, which by God’s providence is also the feast day of Blessed Jordan of Saxony, the patron saint of Dominican vocations. Girded primarily by the intercessions of Our Blessed Mother and St. Thomas, I have been enabled by God’s grace to answer yes to “the voice of my Beloved,” and hope to meet Him with an undivided heart in the Novitiate. I ask you to pray that my fellow novices and I more fully appreciate the gift of our vocation. I in turn will pray that you, too, may daily encounter and respond to Jesus’ all-consuming love, no matter what your vocation is. For that is the one love story guaranteed to have a happy ending. I was born in Singapore, the younger of two sons in a Canadian diplomatic family. During my childhood, my family moved every three to four years between different assignments in Asia, and my parents gave me the great natural gifts of a good education and a strong sense of duty. My parents did not raise me in any faith, and, returning to Canada for university, I aspired to a career in government. In part this was because I sensed that I had a responsibility to give back to my country after a privileged upbringing, and in part this was because I could not conceive of a higher good than politics. Thus I began my time at Queen’s University in Kingston led both by an upright desire to serve others and, increasingly, by a worldly ambition for influence and popularity. I embraced the ladder-climbing and partying of campus culture but, after two years, I turned away from it disillusioned by the shallowness of that way of life. Christian teaching on objective truth and sacrificial love struck me to be the most compelling alternative to the relativism and hedonism I witnessed on campus, and I was impressed by both the intellectual depth of Christianity and the heroic charity to which it called the likes of Mother Teresa and my fellow Canadian, Jean Vanier. Inspired, I began to pray, serve the poor, and go to Christian services. I read as much as I could about Christian doctrine and church history, and, convinced of the truth and authority of Catholicism, I participated in the life of the Newman House Catholic Chaplaincy on campus, where I was first exposed to the beauty of the Holy Mass and the joy of Catholic community. In early 2015, I was Baptized and Confirmed in Kingston’s cathedral, having received preparation for the sacraments at Newman House. The emphases of our chaplaincy on community, study, the liturgy and the Eucharist, interior abandonment to the Lord, and evangelization gave me a strong foundation to live in the Spirit and, later, to discern a call to the Order of Preachers. Early in my conversion, I was drawn to the fraternity and sacrifice of the military, and I trained for a short time as an officer cadet in Kingston’s reserve infantry regiment. However, as I practiced my faith from day to day, prayed for docility to the Lord’s will, and more generously dedicated myself to service of the Church, I felt irresistibly attracted toward the priesthood and the more radical life of the evangelical counsels. I first encountered the Dominican Province of St. Joseph online, edified by the student brothers’ championing of faith and reason in their Dominicana blog. Later, when I spent time with Dominicans at a summer seminar and World Youth Day in Poland, at the House of Studies and other priories in the northeast, and on a summer mission to Peru, I was impressed by the joy, prayer, and zeal of the friars. After much prayer before the Blessed Sacrament and to the Blessed Virgin Mary for peace and clarity about my vocation, I received a persisting conviction that the postulancy and novitiate are the next steps the Lord wills for my sanctification. I am grateful for all who have helped me on the journey thus far, especially my family and the community at Newman House, where I was a student for two years and worked for two more years as assistant to Fr. Raymond de Souza. Thanks be to God, my new brothers and I are on the brink of a great adventure. Please pray that we may be ever more conformed to Our Lord Jesus as we learn to follow St. Dominic in the footsteps of the Saviour. I was born the third youngest in a large Catholic Mexican-American family of nine. Born and raised in Houston, Texas, my mother and father did a fantastic job of not only teaching us the faith, but demanding we live our faith. I can still remember my mother teaching me my first prayers, catechizing me as I grew older and making me volunteer to help the poor with the Missionaries of Charity. I am grateful for my father, teaching his children the value of hard work, while at the same time, cleverly making me listen to CD’s of Venerable Fulton Sheen while I worked beside him, where my love of powerful preaching can be traced. Growing up with a brother who was a philosophy major meant always seeking the true and good in everything, which I believe laid the groundwork for me accepting a decision to discern the priesthood. It is our job to plant seeds and pray to God to do the watering. My family has helped the Missionaries of Charity in our neighborhood since I was a child and I would not be the man I am today if it wasn’t for them. Sr. Aracely, M.C. has been a spiritual mother to me in the discerning process. They have taught me the beautiful gift of redemptive suffering, sacrifice, and most importantly, that we must be carriers of God’s tender love to the world. I have gone to Catholic school my whole life until college, where my faith began to flourish like never before. I credit this to the preaching of the Dominican Friars who ran the campus ministry at St. Elizabeth’s right across the campus of Texas Tech University. While in college, I encountered liberalism and moral relativism for the first time in my life. By God’s providence, I fell safely into the hands of the Dominican Friars. The Dominican chaplain, Fr. Francis Orozco O.P., revitalized my faith by his preaching and council during confession. It was here, where he introduced me to the great Dominican and Doctor of the Church, St. Thomas Aquinas. I was completely blown away and transformed by Aquinas’ teaching. Eyes that were once fixed on the ground became fixed to the heavens, lost in the mystery that is God. Gradually, I appreciated that what was being read at mass was truly the sacred text, the Word of God. I became lost in the mystery of the most Blessed Sacrament of the Eucharist. I couldn’t believe I had been in line my whole life for communion and had not been at a loss for words for what I was about to receive. From that point on, I discerned how to do God’s will in whatever he called me to do. As a film student who showed great promise, incorporating God into all my work, I believed I was going to follow my heroes Terrence Malick and Bishop Barron in bringing God to the film industry. Now I felt a calling to pass on what Fr. Francis did for me to others. After college I worked in the advertising industry where it was a great place to discern my vocation and visit the Dominican House of Studies. After this brief stint in advertising, I decided to help my father at the family business. My father loves Catholic radio. This meant listening while I worked to Venerable Fulton Sheen and EWTN Radio hosts such as Dr. David Anders, Fr. Mitch Pacwa, and Al Kresta. Their programs helped me discern the call to pursue the priesthood for the true, the good, and the beautiful – that is the Catholic Church. I am from Peabody, MA, which is north of Boston. I have two older brothers and a younger sister. When I was younger I attended a Catholic elementary school, then I was homeschooled, then I went to an agricultural high school to study environmental science, then I returned to being homeschooled. I spent most of my free time in the Scouting program where I became an Eagle Scout and a Vigil Honor member of the Order of the Arrow. I also was on a swim team and shot riflery. While in high school, I discerned that God was calling me to enter seminary for the Archdiocese of Boston, so I entered Our Lady of Providence College Seminary when I was seventeen under the sponsorship of the Archdiocese of Boston. While at Our Lady of Providence Seminary, I worked toward a BA majoring in both Philosophy and Political Science as my intellectual formation. I met the Dominicans for the first time at Providence College. I was very attracted to the joy that the friars had and the way of life that they lived. However, as I was already studying as a seminarian for the Archdiocese of Boston, I did not want to seriously consider a Dominican vocation. I thought that I could fulfill this attraction to the Dominicans by becoming a member of the Priestly Fraternity of Saint Dominic, which is a fraternity of diocesan priests who live elements of the Dominican life. When I graduated from Providence College, I was convinced that my path was to become a diocesan priest and then a member of the Priestly Fraternity of Saint Dominic, so I moved onto major seminary at Saint John’s Seminary in Brighton, MA, where I continued my studies for the Archdiocese of Boston. While at Saint John’s Seminary, I continued to feel an attraction to the Dominicans, so I admitted to myself that I needed to take this to prayer. Part of me wished that this would go away and that God would just allow me to continue on my path. When I prayed about this matter, God did not grant me my wish. It was in the chapel that I realized that God was calling me to be a Dominican, and I could no longer deny it. God was calling me to change my personal plan in order to conform myself to his plan for me. During this time psalm 133 spoke to me, “how good and pleasant it is,/when brothers live in unity!” I encountered this psalm in the Liturgy of the Hours after realizing during a holy hour that I had to speak to both my spiritual director and a Dominican priest. This psalm occurred again in the Liturgy of the Hours while I was visiting the Dominican House of Studies in DC. Please keep my brothers and me in your prayers as we prepare to enter the novitiate. May God draw us close to him, and under Mary’s mantle my we be protected. I am the oldest of three boys, all three years apart. Growing up as a cradle Catholic, my family went to mass and my parents sent my brothers and I to Catholic grade school. I had little care for being a Catholic in my youth and adolescence. During Mass, I was far more concerned with who the Dallas Cowboys were playing that Sunday and where we were going to have lunch, than with the Gospel of Jesus Christ. The faith was tangentially present in my life, however the truth and love of the Gospel did not radically change my life until the first weeks of my freshman year of college at SMU. Going to college, I expected to live life to the fullest and that included all the world had to offer: I wanted to live a party lifestyle while also succeeding in school to receive a prestigious job and salary after college. Three weeks into college I experienced a major transformative moment in my life where I was invited by a protestant friend to make a decision to follow Jesus Christ and to give my life to Him. I accepted his offer and began encountering God through Sacred Scripture. Seemingly overnight, all of my worldly desires began to change into desires for truth, beauty, and goodness. About two months later, I went on an Awakening retreat through SMU Catholic, where I experienced an authentic conversion to the sacramental life of the Church. In my time in confession and Eucharistic adoration, I realized that the Lord was present in the sacraments. The Jesus Christ that I had encountered in Scripture was offering his body and blood to me physically and literally in the Eucharist. The following day after a reflection, I asked God what he wanted for my life and I heard a small voice whisper in the quiet of my heart: “priest.” I was entirely overwhelmed and shocked that this word had appeared in my heart. I was afraid, and so I made up excuses to avoid the issue. However, eventually I came to the point of realizing that I would be compelled by the love in my heart to follow Him no matter where He led me, even if to the priesthood. To say the least, my life was radically changed during that retreat. That first semester of college, I fell in love with a person, the person of Jesus Christ, the one for whom my heart was made. In hindsight, all of this grace, without a doubt, came to me through the hands of our Blessed Mother. In the years following I became heavily involved with SMU Catholic as well as with FOCUS (the Fellowship of Catholic University Students). The summer before my senior year, I went on a FOCUS mission trip to Alaska. Our chaplain on the trip was Fr. Bill Garrott O.P. I came to admire and deeply respect Fr. Bill as a man and as a priest. Though we hadn’t spoken about my discernment process, he flat out told me that I might have a Dominican vocation and that I needed to check it out! A few months later, I was at the House of Studies and I discovered how deeply the phrase “to preach for the salvation of souls” resonated with my heart. I too fell in love with the communal prayer life, singing the psalms with intimacy and depth I had never before experienced or witnessed. By the end of the weekend, I found myself saying, “Jesus, I cannot give you even ONE reason why I should not be in a white habit next year.” There is tremendous excitement and joy in my heart for what the Lord has waiting for me. To consider the love and grace I have received is entirely overwhelming. Please pray for me and my brothers, entrusting our vocations to the Blessed Virgin Mary, that we would imitate her humility and obedience and become simple instruments of the Holy Spirit. God blessed me with an upbringing Catholic faith fostered by loving parents in Dayton Ohio. After my Confirmation in eighth grade, I began developing a life of prayer. I prayed the Rosary and discovered the many graces that Mary bestows on those who faithfully return to her. I also began to experience an attraction to the priesthood. 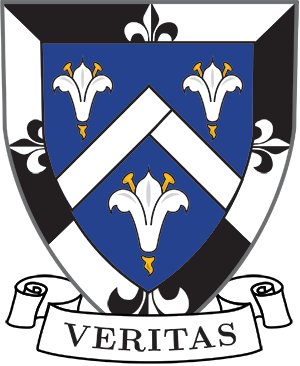 With Saint Thomas Aquinas as my Confirmation saint, I slowly recognized my ignorance of Church doctrine and personally studied, read, and developed an attraction for the Dominican motto, “Veritas”. In public high school, I never developed much of a faith community among my peers. However, after attending Notre Dame to study computer engineering, I found a community of strong Catholic friends who helped me build my faith and prayer life. I began attending daily Mass and praying part of the Liturgy of the Hours in common with these peers. At Notre Dame, I reached out to priests from the Congregation of Holy Cross. These priests helped form me in my life of faith, especially by giving me a desire to unite the corporeal and spiritual works of mercy. Inspired by the witness of their lives, I began to seek out religious life in addition to the priesthood. However, God did not initially give me clarity about where to pursue a vocation—probably so I could learn to trust more in Him and less in my own plans. Based on a historic attraction to the Dominicans and devotion to several Dominican Saints, I began contact with the Order of Preachers. The zeal of the brothers thoroughly impressed me and furthered my desire to join their community. I eventually discovered how the Lord had been guiding my heart towards pursuing a Dominican vocation. I am grateful to my parents, my spiritual director and all who have helped me discern my potential vocation. I was born in Waltham Massachusetts, in the Boston area, to loving parents and was raised in a great community alongside my younger sister. My upbringing was Catholic and included Sunday Mass, grace before meals, and a general desire for holiness. My mother’s parents in particular helped infuse this desire into me especially with their teaching of the rosary and encouragement to serve at the altar as a young boy. Around the time of my First Holy Communion God began making himself known to me. Although during my youth and adolescence I often did not trust the Lord, he remained faithful and continued to help me desire the holiness which he wanted. God did this particularly through the sacraments of Confession and Holy Communion. Naturally the idea of becoming a priest and becoming his worker in those sacraments was appealing to me. I attended a very secular high school and it was in this environment that I found my love for dialectic and apologetics. Therefore, I chose Thomas as my confirmation saint and applied to a local college run by the Order he joined in his lifetime. Four years ago I began attending Providence College in Providence Rhode Island. At Providence I have met some amazing friends, knowledgeable mentors, and spiritual fathers. As a student I fell in love with the way the brethren prayed the Divine Office, I admired their intelligence, and I admired the way they lived the common life. After a couple of years as an underclassman I prepared to take a semester abroad in the Eternal City. While I was in Rome and throughout Europe I continued to meet different Dominicans from the US and from different parts of Europe. While I was in Italy I also came to know Pier Giorgio, Catherine, and Mary our Mother. While I was abroad I read Pier Giorgio’s letters and Catherine’s Dialogue and was able to pray at the tombs of these holy people. The two of them ultimately lead me to a loving relationship with Our Lady which has thoroughly changed my life. Upon returning to Providence this past summer, I asked my spiritual director immediately about an application. When asked by him and later other people about my intentions, I responded that I loved the life of the Dominican Order but I ultimately feel called by the saints of the Order. Dominic, Thomas, Catherine, and Pier Giorgio have all had incredible effects on my life and I want to join them in this Order. Ultimately, the initial desire for holiness infused on me at a young age has continued with the Dominicans at Providence College, in Rome, and in heaven. Born the second of seven to a loving Catholic family in Hanover, Pennsylvania, I realized very quickly that the Faith was an important part of my parents’ lives and a gift they wanted to share with their children. I was homeschooled for most of grade school and had an insatiable appetite for books, especially what I could find about God and Catholicism. Within about a year of my First Holy Communion, however, I actually began to fall in love: first with Jesus in the Eucharist, and through that love with the idea of becoming a Catholic priest. After some time, it became clear that I needed to take further steps in my discernment and learn more about this vocation. I attended multiple diocesan retreats, and began to read and talk more intentionally about preparing for a possible priestly vocation. Throughout high school, however, theology eventually became for me more an intellectual hobby than a way of life, and I gradually drifted, if not from the practice of the Faith, at least from the prayerful interiority to listen honestly to the voice of God. Still motivated at least by an appreciation of the classical tradition and the liberal arts, I enrolled at Christendom College in Front Royal, where I would study for the next four years. Upon arriving at Christendom’s rather small campus, I knew that I would be entering a proudly Catholic community which took the Faith seriously and was devoted to serving the spiritual needs of its students. Ultimately, it was the witness and friendship of the men and women I met while away at college which sparked my own reversion, as I slowly came back to a God who I found still waiting for me on His Cross. Daily Mass and regular Confession became consistent parts of my routine, and I recognized once again what I had lost in the spiritually sterile period a few years before: the unlimited and unconditional love of a personal God. After a providential week with the Franciscan Friars of the Renewal in St. Anthony’s Shelter in the Bronx, I saw how these religious brothers could witness to that “vertical” love of God in their “horizontal’ love of the poor and the homeless of New York. Although I was certain that the Franciscan life, while beautiful, was not for me, it was at this point that I first considered the then-foreign concept of a religious vocation. Over the next two years, I became more familiar with the Order of Preachers from multiple unexpected angles: several friends of mine talked at length about their desire to become Dominican sisters or nuns; good friends of mine became Dominican tertiaries. I slowly realized that many of the saints I had admired from a very young age (including Bl. Imelda, St. Thomas Aquinas, and St. Catherine of Siena) were members of the same Order of Preachers. I came to a humbling appreciation of the wisdom and simplicity of Thomistic philosophy and theology, especially as expressed through St. Thomas’ compositions for the feast of Corpus Christi. I once again began to grow in my appreciation for Eucharistic and Marian devotion, while my studies complemented and enriched the time I spent in the chapel. A friend talked me into coming with him out to a Come and See Weekend at the Dominican House of Studies in Washington, D.C., and there I found, quietly, what I had been missing in a vocation for the past eight years. As I got to know the Order further, I came to a deep appreciation of a community life grounded in prayerful contemplation and dedicated to the active life of preaching, in the context of the evangelical vows of poverty, chastity, and obedience. I entered the aspirancy program while in Rome later that year, and had the opportunity to visit many Dominican sites over the course of that semester abroad. After further prayer and discussion during this period, I came to the firm belief that God was offering me the grace to spend my life in service to the Church as a clerical brother in the Order of Preachers. Please pray for the grace of continual conversion in our novitiate class as we enter this coming July, and please continue to keep the Order of Preachers in your prayers.